It’s been a very busy few weeks with shoots in Arizona and San Francisco for Teachers Count, a non-profit that raises the status of teachers by geting actors, athletes and celebrities together with their favorite teachers for photo shoots. The images get used for poster campaigns which are distributed to schools across the country. 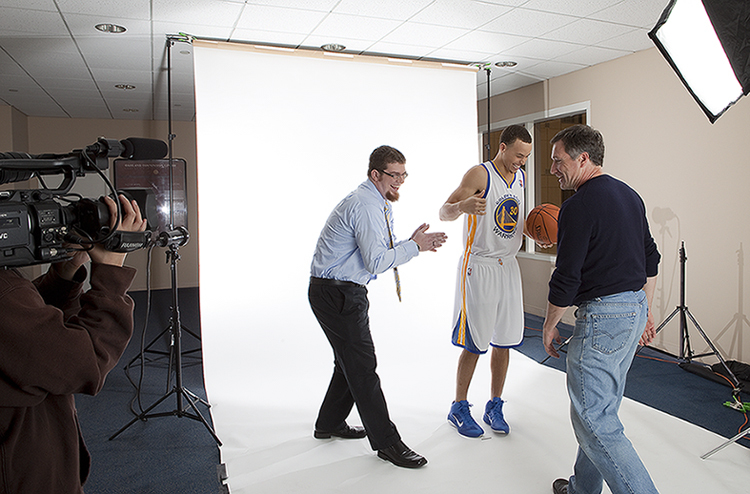 Over the past few weeks I’ve had the pleasure of photographing Kurt Warner (Cardinal fame) and Stephen Curry (a basketball player currently with the Warriors). 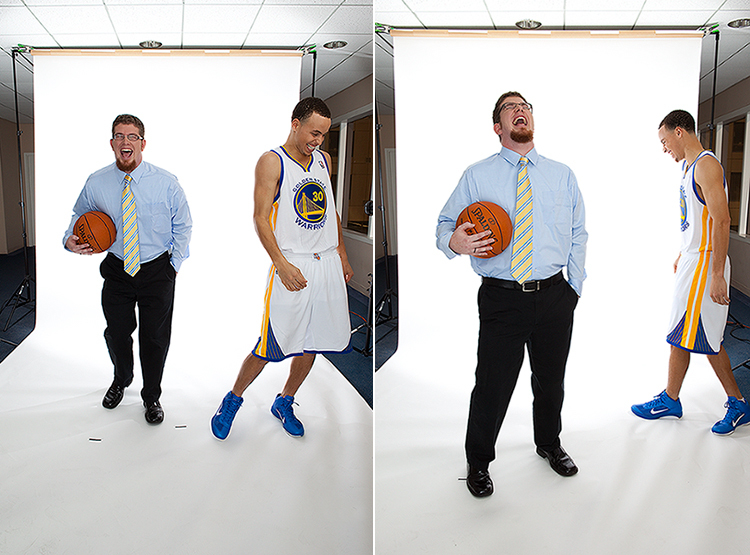 All of the shoot are fun, but this last one with Stephen was a lot of laughs. He had not seen his mentor/teacher Chad Fair, a drama teacher from Charlotte, for quite some time so there was a lot of joking going on. We had a great time. 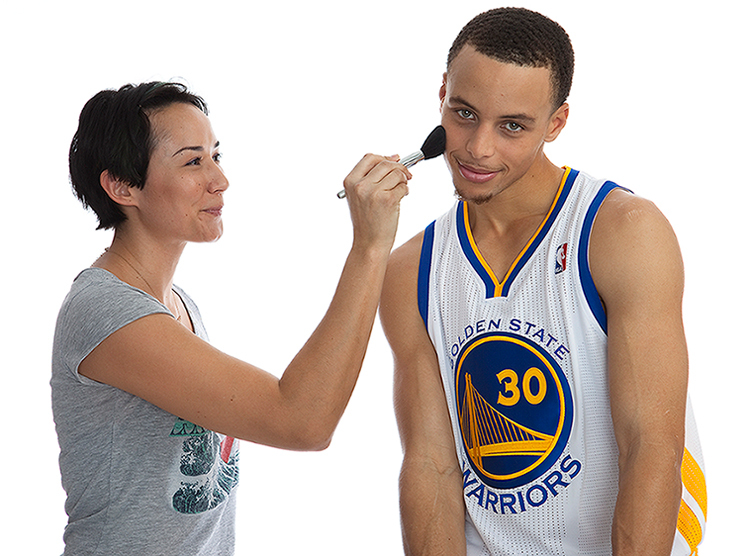 Stephen even loved the makeup part. 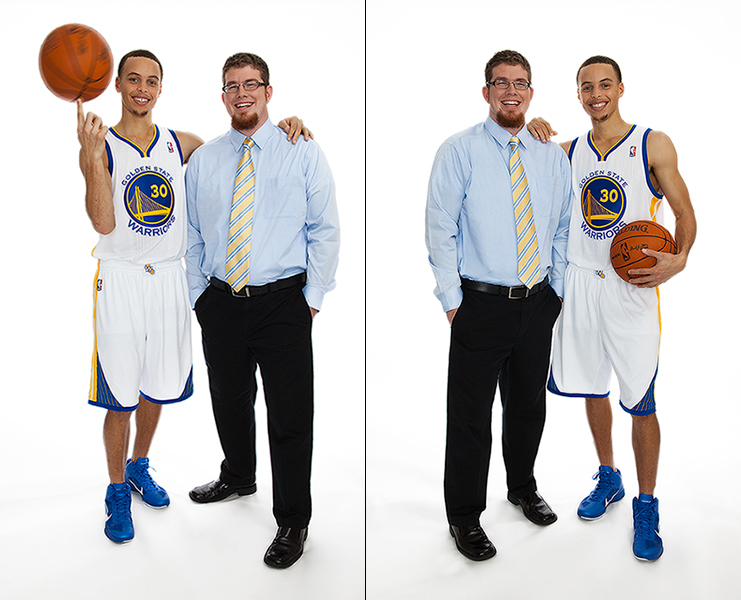 Here are some outtakes and the final two images chosen for the campaign. Thank you very much! You must be very proud of your son. I can tell only after a few minutes that he is the type of teacher who inspires his students. I agree, many people (famous and the unfamous) should be so blessed. There were so many good photos from which to choose. It was hard to narrow it down to just a few. The photo on the right is the one the client has picked for the poster. Too bad they can’t show the outtakes. They show the real connection Chad and Stephen has. I’m the proud former student of said teacher, and started teaching this year myself. Thanks, Mr. Fair–for putting up with us, for teaching me “if I’m not cool, don’t try to be,” and for showing me how it’s done. Aubri – I’ve passed your message along to Chad. Thanks for commenting! Mr Fair has touched the lives of so many and he is so humble, so to see this recognition by Stephen is wonderful. What a special young man whose walk with the Lord is real. He is a true role model for all young people and I am so thankful my daughters were able to watch him play in high school and also be touched by Mr. Fair. Thank you to the Curry family for raising such a fine young man. And thank you Mr. Fair for all you do with the kids you trachea and inspire.